That’s really quite amazing. I was not familiar with the word ‘epigenetic’ but this sounds like it would have huge medical implications in the future. Thank you for explaining it. That is quite ‘epic’! It would be amazing to find a cure for Alzheimers. I think it is terrible not to be able to remember anything…what’s the use of all the memories you made your whole life if you can’t enjoy them later in life. If these cells are able to differentiate into any type of cell, there is hope for people that are paralysed to be fully functional again oneday. AMAZING! As fascinating as it might sound, manipulating the genetic make-up of an organism might backfire at an unprecedented level. 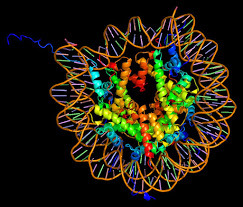 Deliberate alterations to genetic sequences might actually cause gene mutations or uncontrollable tumors at an astounding pace or fix a problem and simultaneously create another or wouldn’t this lead to more genetic or even chromosomal complications? If more research, effort and time is put into it, this can be the most EPIC approach to almost every genetic disease that is on earth. This research is really amazing!! I was also not familiar with that term epigenetics but now i am.I think this research will really benefit the medical field and also will benefit those suffering with heart disease and Alzheimer ,and finally this research can help scientist to come up with other cures like cancer. These are great news, this technique can, by surprise also assist in treating autism spectrum disorder. It’s really good to know that scientists, researchers, medical doctors etc are fighting for other people’s lives. It is very vital to invest in education and research as the key to all incurables is right in front of our eyes. This is interesting and because epigenetics has the ability to cure/treat diseases like the heart disease but because this has to do with manipulating the human genes consequences of such things should be looked at. “Harnessing the power of the ‘epigenome’ is of intense medical interest for the development of new drugs and in the use of stem cells” this then should that if it is researched more and it is found to be effective without any serious damages to the human genes it could be the answer to many diseases.